Product description ZuPreem® FruitBlend™ is formulated to provide balanced nutrition for various species of birds psítácidos and passerines. 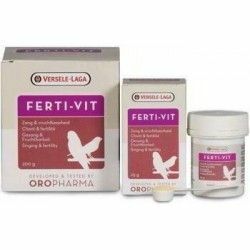 Nutrition complete and balanced in each pellet formulations used are made with high quality ingredients with origin in the united States and fortified with 21 Vitamins and minerals, necessary for the maintenance of good health. The taste multifrutas increases the palatability Every pellet contains bananas, oranges, apples, and grapes ground from fresh fruit which gives it a flavor irresistible, even for the birds more reluctant to feed. The shapes and colors add variety to the diet Five pellets different with the shapes and colors of apples, bananas, oranges, grapes and melons make the meal an enjoyable experience and attractive. The pellets extruded to increase the bioavailability of carbohydrate. More disgestibles that the pellets pressed at cold, or any mixture of seeds offer maximum digestibility and nutrient absorption. Efficiency / cost higher than that with mixtures of seeds, Less waste of product,and no need to add or recommend any vitamins or supplements. Preserved in a natural way.Longer life of the product to seeds or pellets by pressure in cold. Strict quality controls. Produced in plants certified to process food to ensure optimal nutrition and consistent in each pellet. Product features Pellets, extruded fruit-flavored in five different shapes and colors. 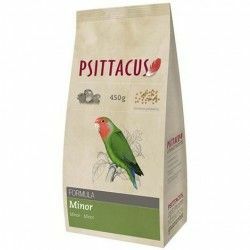 Description: Food of first quality for parakeets, lovebirds, and small psitácida s. New formats that are more comfortable and practical.